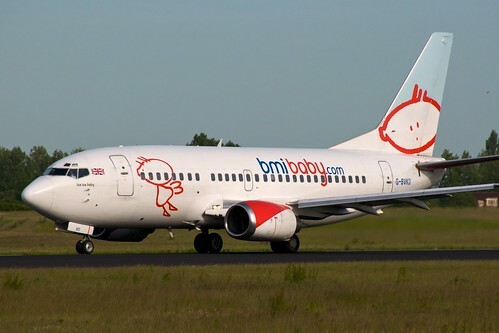 More doom and gloom in the travel industry as Bmibaby is to trim its fleet by five aircraft to 12 next year with the loss of almost 160 jobs. The airline said 54 pilot and 82 cabin crew positions at Birmingham, Manchester and Cardiff airports are at risk of redundancy, plus an additional 22 management and support positions at head office and airport bases. Discussions have started with staff and union representatives “with a view to minimising job losses wherever possible”. Greater operational efficiencies and optimising aircraft utilisation will enable Bmibaby to reduce its fleet size by five aircraft in 2010 to twelve. Part of the shake-up will create the capacity to add to the number of destinations served next year from East Midlands Airport. Ten pilot and 15 cabin crew positions will be created at East Midlands.